Before the discovery of the New World, Europeans did have other bean species with various traditions associated with them. On 3 days of the year, the Roman head of the household went through a ritual ceremony of spitting beans out of his mouth to rid his home of evil spirits. This custom carried over to the Middle Ages, where spitting a mouthful of beans in a witch’s face was considered to negate her powers. 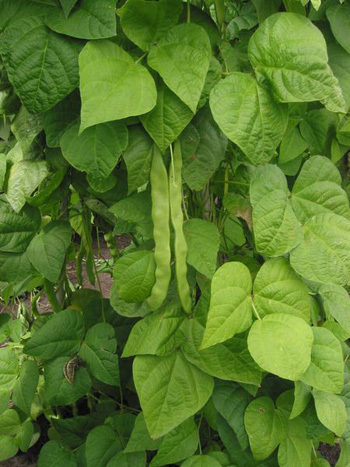 Perhaps beans were thought to be a potent deterrent against evil because as a seed they have stored within them the positive life force of all living and growing things. Prairie Smoke , by Melvin R. Gilmore, Minnesota Historical Society Press, St. Paul, Minnesota 55101, copyright 1987.